One 10 karat white gold rollo chain and custom-made 10 karat white gold pendant. 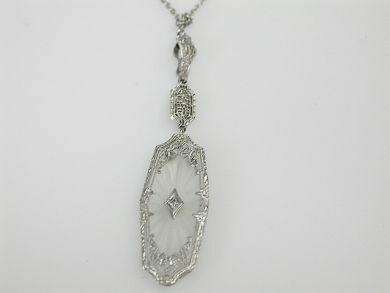 One carved rock crystal set in beautiful filigree detail (4.82 carats). One single cut diamonds (0.02 carats: SI1 clarity: G-H colour).